The seven-man crew of a Russian mini-submarine has been blamed for causing an incident which kept the sub trapped under water for three days last August. They violated operation procedures during a routine underwater check. The AS-28 Bathyscaphe was caught up in cables off the Far Eastern Kamchatka Peninsula, sparking an international S.O.S. call for help. 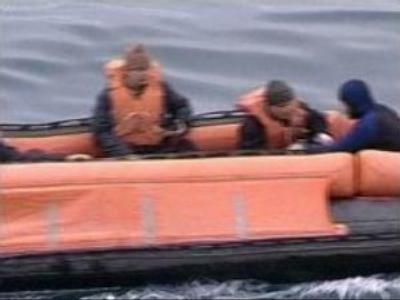 All of the sailors were rescued thanks to a 3-day rescue operation involving crews from the UK, US and Japan. The Bathyscaphe is still under repair but should re-enter service in 2008.